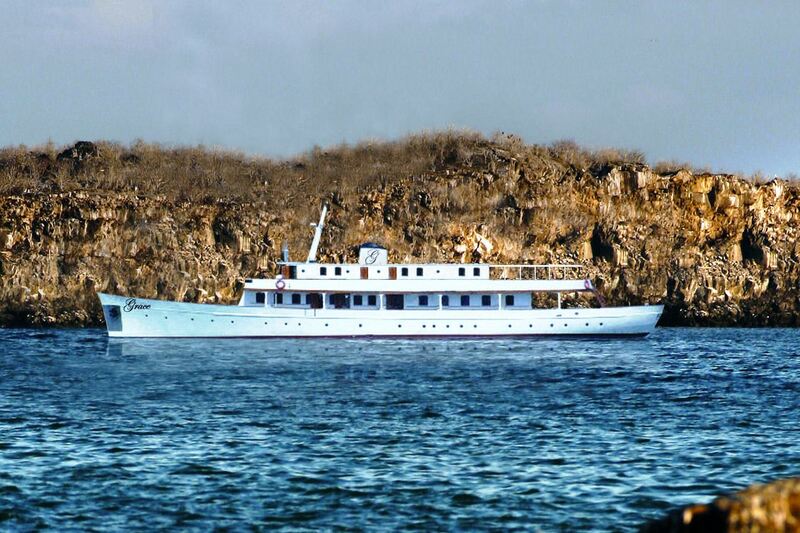 Motor yacht GRACE is a 44,20m (145’) classic motor yacht built by Camper & Nicholsons in 1928 that has been rebuilt and available for luxury yacht charters in Galapagos. Motor yacht GRACE has traveled the world’s oceans under many names, (including Deo Juvante II and Zein). She has now been rechristened with a name that takes her back to her history, to the very best of her times. Named after her late owner, Her Serene Highness Princess Grace of Monaco, the name represents her elegance, beauty, and prestige. She is the ideal yacht for the traveler who seeks a true explorer experience in a unique destination, complemented with excellent service, superb accommodations, and fine dining. 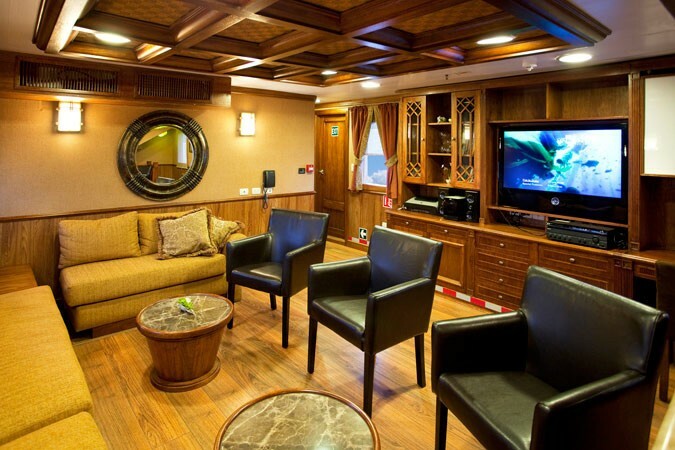 There is a large main salon that is equipped with a bar, TV/Video system, and stereo system. Charter guests can choose to dine inside, on the interior dining table or they can eat outside in the al-fresco dining area. 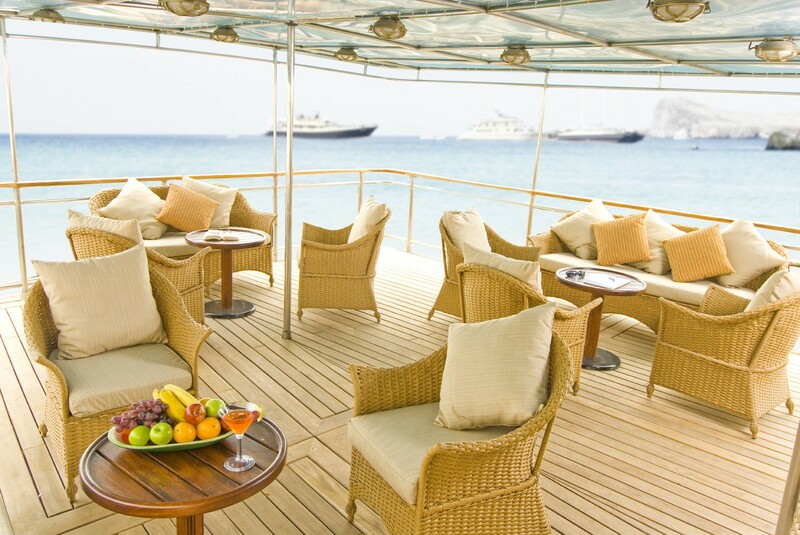 The sundeck has a bar and plenty of space to enjoy the view and the fresh air. 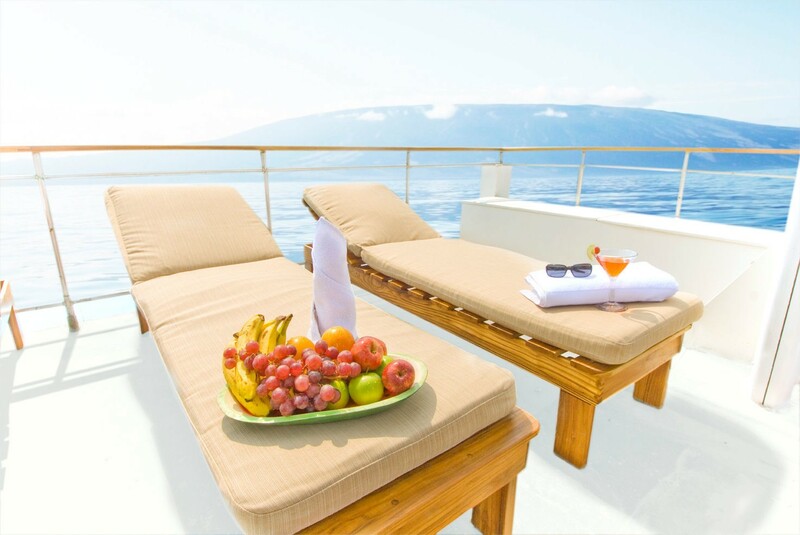 Guests can also relax forward of the yacht, where the spa pool and sun chairs are located. 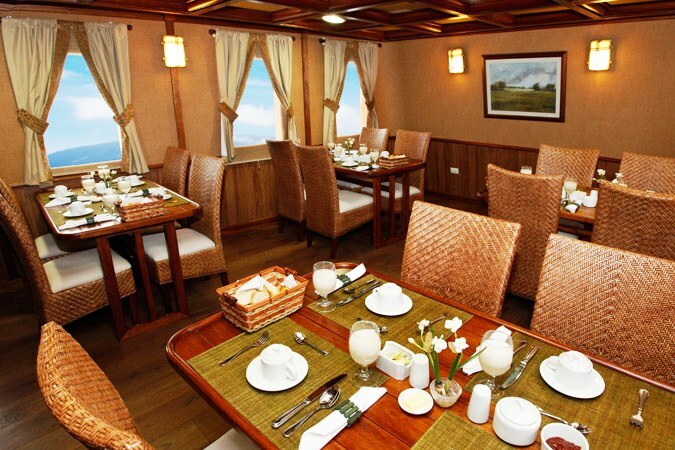 Grace equipped for luxury private charters, for guests who like relaxing while enjoying the fantastic destination of the Galapagos Islands and also for more active groups who prefer outdoor activities like kayaking, snorkeling, and hiking. This yacht abides all international standards of safety for a ship of its type. It is ISM certified and is equipped with an emergency alarm system, 2 emergency life rafts for 18 people each, emergency life vests, fog horns, smoke detectors, and fire extinguishers. All emergency equipment is SOLAS certified. 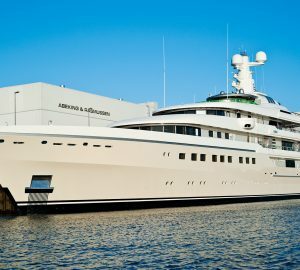 This luxury yacht underwent a complete refit of the entire vessel that started in 2008 and was completed in April 2009. 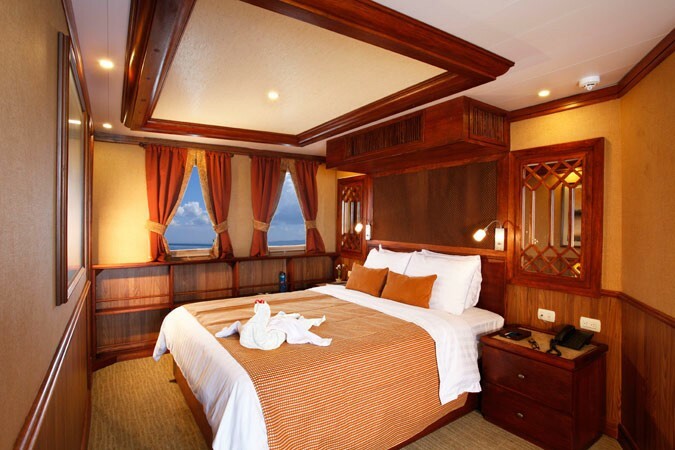 Motor yacht GRACE is able to accommodate up to 16 guests in 9 cabins including 4 double and 5 twin staterooms. 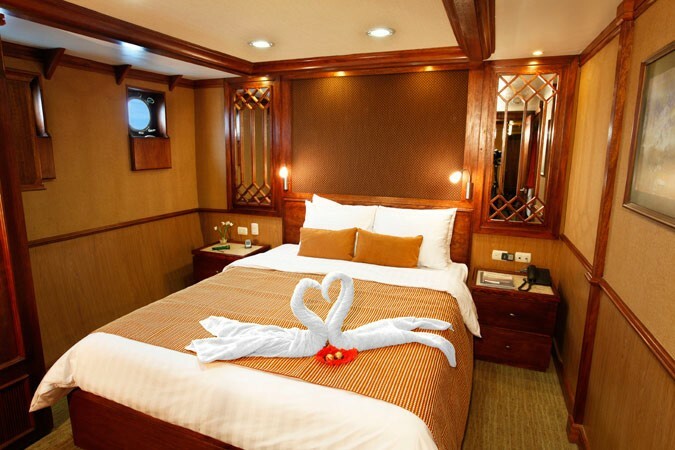 There is a master suite, 3 Ocean View suites and 5 additional cabins. 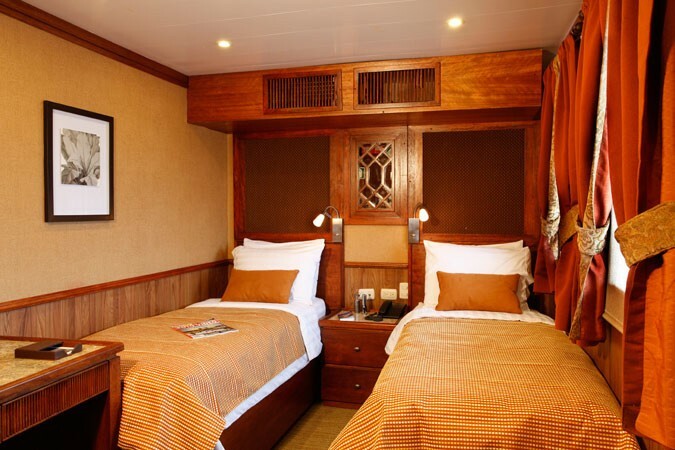 All cabins have ensuite facilities n and the vessel is fully air-conditioned. 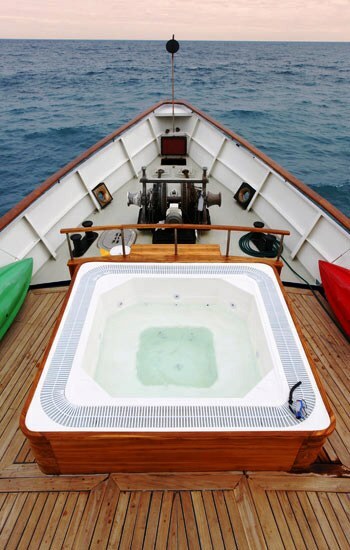 Motor yacht GRACE offer a range of extras to enjoy while onboard: Tenders & Toys include 2 18 person RIB Inflatable’s with 40hp outboard, Spa Pool, sea kayaks, snorkeling gear and wetsuits. Communications include VHF radio, SSB radio, Satellite Phone, 24 mile Furuno radar. 24 mile Si-tex radar, GPS Satellite Navigator, depthfinders, speed and distance log, compasses, barometer, forward looking echo sounder.